ThimphuTech.com: Will the new iPhone 4 work in Bhutan? Will the new iPhone 4 work in Bhutan? If you're thinking of asking your friend in Bangkok to get you the latest iPhone, think again. In addition to the nuisance of unlocking the beast (so that it will be able to work with any mobile network), Apple have added an additional issue: While previous iPhone generations use the standard mini-SIM card, the latest model uses a tiny SIM card version known as a micro-SIM. The common SIM cards sold by B-Mobile and TashiCell will not fit the new iPhone. If you are really pressed on using the iPhone 4 in Bhutan, the web is packed with information on how to chop down a standard SIM and turn it into a micro-SIM (here's one such tutorial, which uses a chef's knife). Otherwise, sit on your hands and wait until the mobile companies starts offering SIM cards in the new format. P.S. : The same hurdle also exists with the over-hyped iPad 3G. 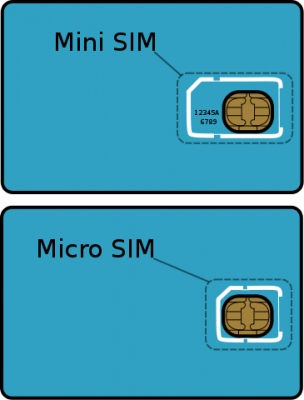 It also uses a micro-SIM to connect to a mobile data network. If you are thinking of getting one, I suggest you take this issue into account.